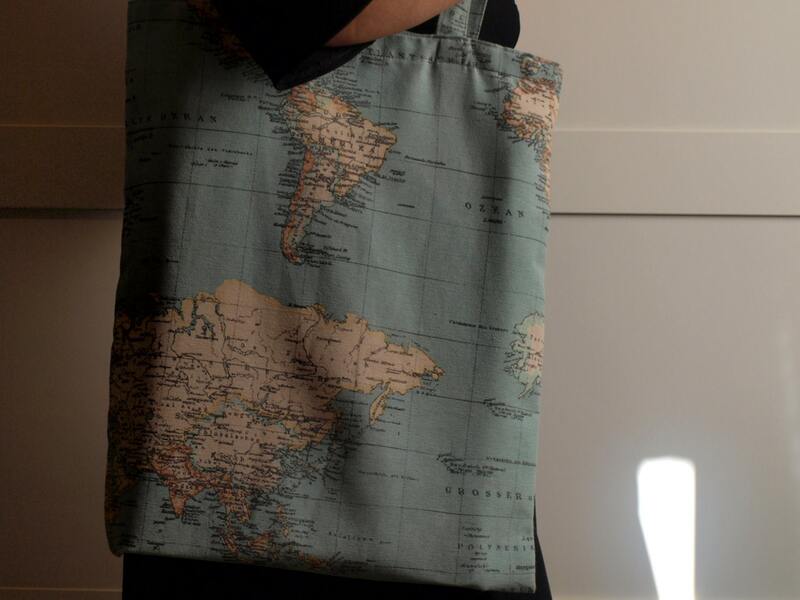 Handmade tote bag. 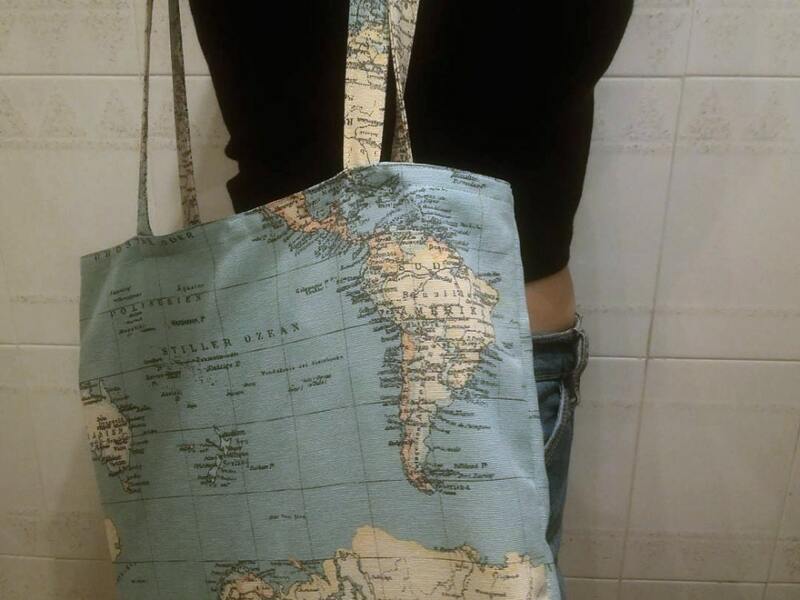 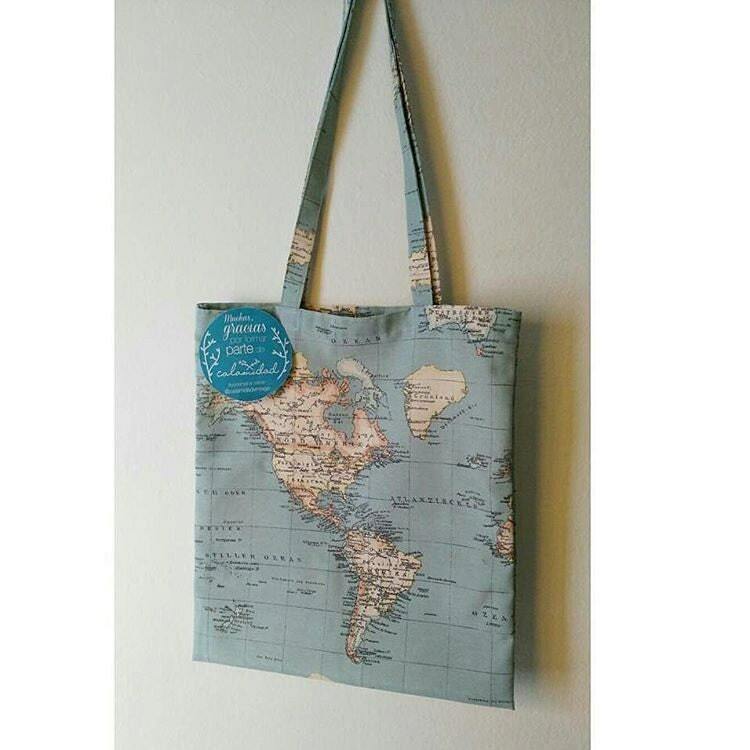 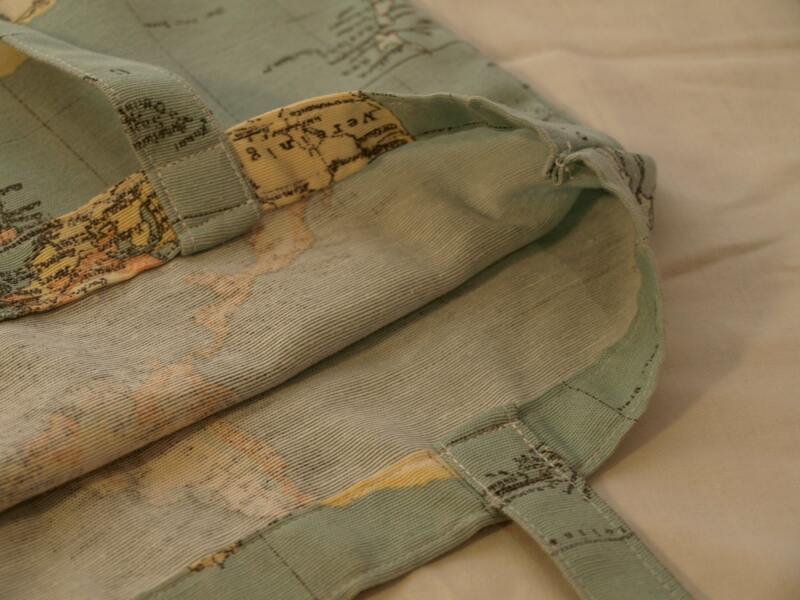 Fabric with world map print (Atlas print). 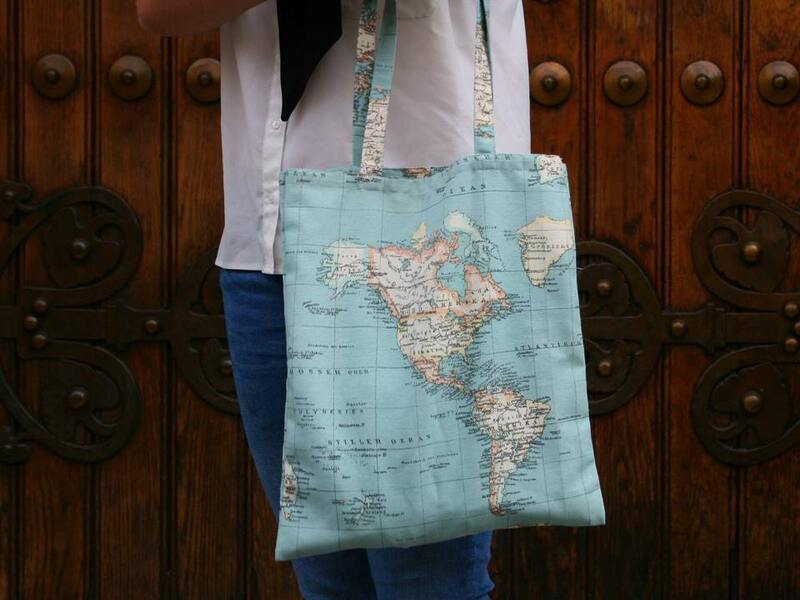 Weight-resistant and with reinforcement in the handles.